BFKlegal -- California attorneys serving Sonoma County and Northern California. John’s practice is litigation. As a successful trial attorney, John represents the interests of individuals and entities who seek to protect their rights. His practice focuses on real property disputes, business litigation, real estate purchase and sale disputes, insurance litigation, and personal injury matters. The practice of law is demanding. Litigation of legal disputes is not only demanding but requires unique skills. Not just lawyer, but part story teller. Not just story teller, but part battlefield general and skilled chessmaster. A skilled trial attorney, John has been involved in thousands of cases over his nearly twenty year legal career. A veteran of more than 20 jury trials, numerous court trials, and hundreds of mediations, John believes in passionate advocacy for his clients while also working to efficiently maximize the return for his clients. John Borba’s practice is broad based. He has a particular focus on the following areas: civil litigation, real estate disputes, personal injury, commercial litigation, business torts, land use issues and litigation, defamation, construction performance and construction defect disputes. John E. Borba graduated from Hastings College of the Law, University of California in 1993 and was admitted into the California Bar in December 1993. John graduated from San Francisco State University with a B.A. in International Relations in 1985. College for John began at Santa Rosa Junior College where he met his wife while earning his A.A. Degree in 1982. Prior to law school, John Borba worked for 5 years at Waterhouse Securities, a national discount brokerage firm, in San Francisco. While at Waterhouse, John was licensed by the NASD and earned his Series 7, 8 and 63 licenses. In 1990 John left the securities business and embarked on the adventure of law school. While at law school, John found he had a passion for persuasive argument and litigation. John has been able to hone his trial skills over a variety of cases. Quite comfortable in the courtroom, John also enjoys the process of mediation from a position of strength. Through a combination of sound preparation, persuasive skills, and integrity, John’s clients get the results they deserve. John Borba continues to live in Rohnert Park, CA, with his wife, Irene, four children, and several cars. It is not surprising that’s John’s passion is his family, the law, and working on his older cars, which include a Roadrunner, a Porsche and a couple of old MG’s. Not surprisingly, John attributes his mechanical skills to his father and finds that turning a wrench is a great stress reliever. * Member of the Sonoma County Bar Association Board of Directors (2006-2010). * Co-Editor, Sonoma County Bar Journal, a quarterly publication of the Sonoma County Bar Association (2008-Present). A resident of Rohnert Park since 1968, John is deeply committed to improving the community which he still calls home. John has served as a parent volunteer in his children’s classrooms; as a Little League manager for his son’s team for several years and fundraiser for various charities. John has served as former Past-President of the Rohnert Park-Cotati Active 20-30 club, a past board member of the Education Foundation of Rohnert Park-Cotati, and past founding board member of Christmas in April Rohnert Park (now known as Rebuilding Together). In addition to charitable groups, John has served as Chairman (2008-2010) (and as a member 2010-Present) of the Rohnert Park Planning Commission. In 1999 John was recruited to the Board of Directors of the Rohnert Park Chamber of Commerce and served as Chairman from 2001 until 2002. Mr. Borba also enjoyed the opportunity to run for the Rohnert Park City Council in 2008 and 2010. Despite coming close both times, political office eluded John but offered him the valuable opportunity to knock on doors throughout town and discuss the important issues facing our community. Kristen Kerns has been practicing law since 2002. She grew up in Novato, CA and attended Santa Rosa J.C. then transferred to Arizona State University studying English and Political Science for upper division and then staying for law school, all the while knowing she would return to the Bay Area after law school. While Kristen enjoys all aspects of litigation, her favorite part of practicing law is the research and writing, especially in the appellate arena. Kristen teaches Legal Research and Writing at Empire College of Law in Santa Rosa, California, and continues to be a member. Kristen Kerns currently serves as a member of the board of directors of Sonoma County Habitat for Humanity and the Sonoma County Legal Services Foundation. She is a former board member of the Sonoma County Bar Association. Kristen Frizzell Kerns has been named to the Northern California Rising Stars list as one of the top up-and-coming attorneys in California for 2012. Each year, no more than 2.5 percent of the lawyers in the state receive this honor. Kristen enjoys exploring Sonoma County and Northern California with her husband Steve. She enjoys traveling near and far when she can, (trying to get at least a few days of Snowboarding in each season), but also enjoys weekends at home with movies or a good book. Samantha Vance finished the Paralegal Studies program at Santa Rosa Junior College in 2013 and joined Borba Frizzell Kerns, P.C. in August, 2014. The paralegal program merely piqued Samantha's interest in the law, inspiring her to enter the Empire College of Law Juris Doctor Program. She'll be ready to take the California Bar Exam in 2017. Samantha brings an expansive skill set to the firm and the legal profession; she is a great addition to our team. Samantha spent over 15 years in the wine industry as a Compliance Specialist, with 12 years experience in private consulting. As a Compliance Specialist and compliance private consultant, she has facilitated wine label approvals, bottling compositions, Applications for initial permits and revisions to permits for expansions of both building/alternating premise, and product development. She can assist with regulatory reporting for: Bonded Wineries, Tax Paid Bottling Houses, and Distilled Spirit permits. She has developed compliance process and procedures for Keg to Restaurant Programs, and Wine on Tap/Growler programs for wineries. She drafted the submissions to TTB for an experimental fining project which was later made regulatory law. She is familiar with the nuances of importing and exporting of winery equipment, supplies and wine. She is interested in Elder Law and Senior Rights. 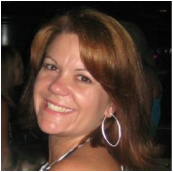 Samantha spent and 4 years as a Skilled Nursing setting Medical Records Technician, and Patient Right advocate. Samantha Vance is a California Bonded Notary. 14 years Community Service with Active 2030 International, an organization focused on helping to meet the needs of under privileged children. She is a Past President of the Redwood Empire #1029 chapter, and a Charter Member of the Sebastopol #63 chapter. She served as a Girls Softball Coach from 2009-2010 in the City of Healdsburg, and served as a coach and the Fundraising Director for the Rohnert Park Girls Softball Association (RPGSA). © 2018 Borba Frizzell Kerns, P.C. Attorneys at Law, serving the North Bay Area of California, Sonoma County and surrounding areas, including Napa County, Marin County, Mendocino County & Lake County. A full service law firm handling civil disputes, real estate and real property disputes, transactions and litigation, personal injury and appellate practice.